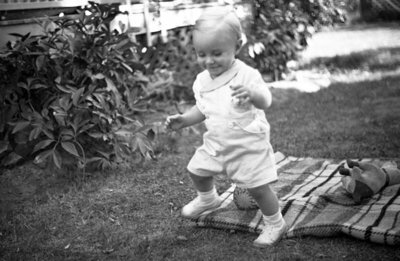 A black and white negative of a baby walking away from a blanket. The negative envelope refers to the baby as the Puck baby. Puck Baby, August 1936, Marjorie Ruddy. Whitby Archives A2013_040_011C.